But at River City Inn, we aim to offer something more. After you have explored the winding streets of Singapore, experienced the different cultures, delighted your taste buds and worn your shoes under the sweltering heat, we want to welcome you back. We want to offer you a place to unwind, write your journal, talk to other travelers and share stories. We aim not only to provide a bed for the night, but a space for the exchange of ideas, inspirations, personal reflections and growth. Because that is what traveling is about. • In the event that the credit card is invalid to charge full balance due, the hostel have the right to cancel the booking and inform guest via Email. • In an event of a no-show or cancellation with less than 48 hours notice, the first night's stay will be chargeable in full. The hostel reserves the right to pre-authorise your credit card prior to arrival to ensure that your card is valid and has sufficient funds. • To keep our prices low, we accept cash (in Singapore dollars) only for payment. Payment with credit card is subjected to a 5% administrative charge. By booking with us, you agree with the above stated terms and conditions. Spinners is by far the best hostel ive ever stayed in throughout my wordly travels. Staff was exceptionally friendly, helpful and always around for help or advice. Hostel is always clean; staff is constantly cleaning. Huge lockers to store valuables and lockup bins below bed were enough to store my bag and clothes. Bedrooms have air con and beds are extremely comfortable. Great location.. close to all amenities and buses to get around city. Spinners is an amazing place! Highly recommend! Great hostel, location is amazing. 15 minutes walk from Marina Bays Sands and that whole area of main attractions. 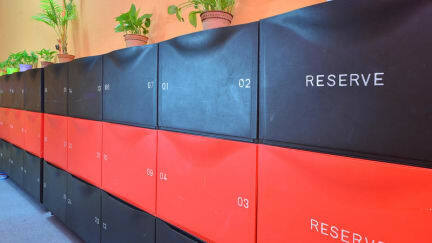 Quiet but friendly atmosphere, lockers in rooms, keycard for security, staff very happy to help with any requests. I had a very pleasant stay at River City Inn. It´s not a very social hostel and no party hostel. It's quiet and very clean. 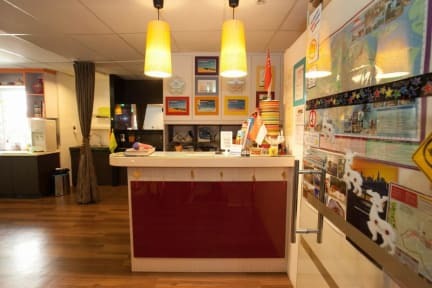 Besides a very good location you have alll facilities you need in a hostel. The staff is amazing - super friendly and helpful. We stayed for 2 nights at River City in. The hostel was clean throughout. Breakfast is basic but it's included in the price so you can't complain. The jam and Nutella spread are delicious. Really enjoyed it. Would come back again. Location can't be much better. Staff is cool. Helpfull and kind. Keep the place clean, change linen on day basis. Security, they got lockers. Bathroom is clean, space for everybody. Price is decent, when you compare. Atmosphere is low, but it's up to people...can't judge it. Overall rating: 8,7 Enjoy the place in heart of Singapore. Location is great. It is right on the Clarke Quay MRT train system and close to Boat Quay, ChinaTown, Marina Bay Sands , etc. Very clean and efficiently run. Dorms are well set-up with lockable lockers. The hostel is relatively small with only a few beds and a small common area/relax space. All-in-all, happy with the stay! This place is ok. It’s the smallest hostel I’ve ever stayed at. It has a very little common area. Pictures are deceiving as well because they had pics that show a bigger restaurant type space that doesn’t exist. They turn the ac off in the dorms during the day and ac of in common areas at night. It’s always hot somewhere. They also charge an extra 5% for credit which is crazy! I’m used to paying 2-3% and mostly in poorer countries which is understandable but Singapore is NOT a poor country! I‘ve stayed in many hostels so far. So I‘m used to hostel life. But this hostel was quite disappointing. The bed were bad rooms are tiny and the bathroom always wet and tiny as well. I would not book this hostel again.